During the 19th century, the society of United States was known as one of the biggest drunking country in the world and Americans were having a very bad reputation. In fact, this reputation was founded on trues issues. As a matter of fact, they were drinking at every moment of the day or to "celebrate" something (develop!). But it began to be a bad thing when men started to be violent with their families or when they were living their jobs to drink. 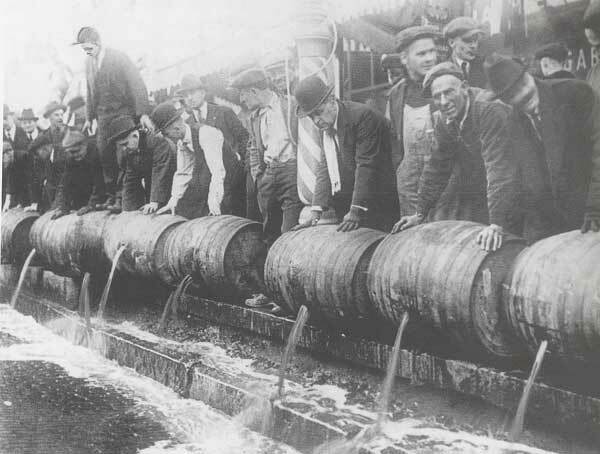 That's this way of life that forced the government to proclaim the prohibition, with the 18th amendment.